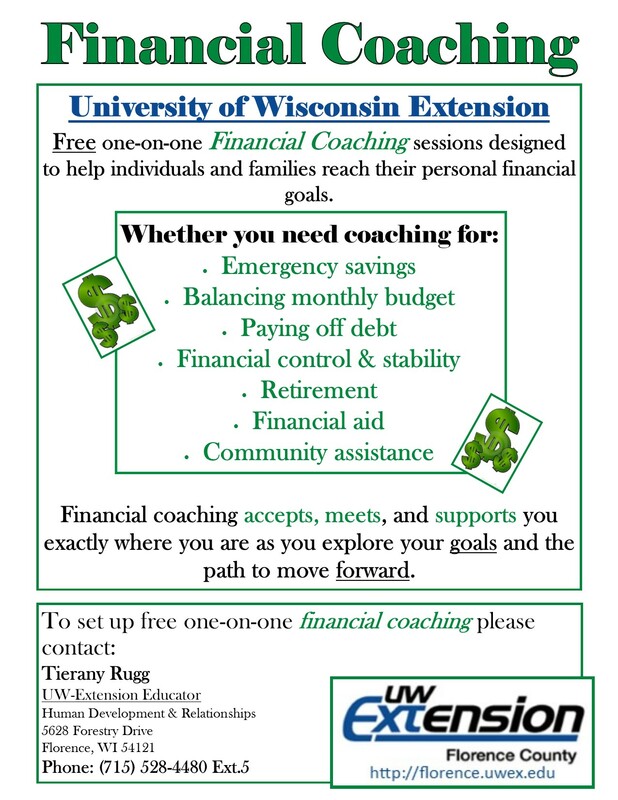 Florence County UW-Extension is now offering free one-on-one financial coaching sessions designed to help individuals and families reach their personal financial goals. Over the last decade, financial coaching has gained momentum as an approach used to strengthen the financial capability and security of individuals and families. 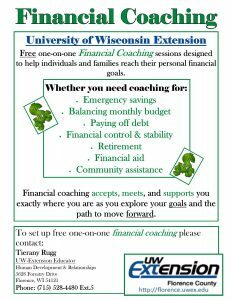 Financial coaching is a unique tool for increasing individuals’ financial literacy, distinct from counseling, advising, or teaching. The financial coaching program last anywhere between 3-6 months, depending on each individual’s goals. Sessions can range in time depending on the client’s needs. For more information, or to see if financial coaching is right for you, contact your local educator and set up your discovery session today. (715) 528- 4480 Ext. 5.